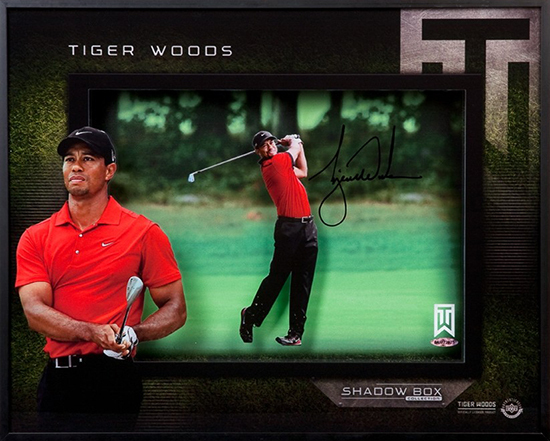 Brag Photo: Upper Deck Innovates Memorabilia with New Autographed Shadow Box Collectibles! Five years ago, Upper Deck debuted SPx Shadow Box cards which were different than any trading card that had been released before. The cards used three layers of acetate with printing on each layer to deliver a 3-dimensional trading card experience on very thick card stock. 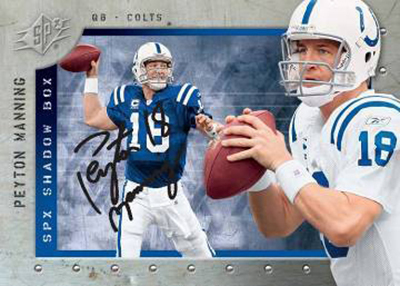 Over the last few years this innovative new type of trading card has become a favorite with fans and for some time Upper Deck Authenticated has been looking at ways to bring a ground-breaking product like this to the memorabilia side of the business. After a significant amount of research and development, Upper Deck Authenticated was able to create prototypes and move into production for these incredibly unique collectibles. This new 16” x 20” memorabilia piece can be displayed equally as impressively sitting on a desk or on a hanging on a wall. 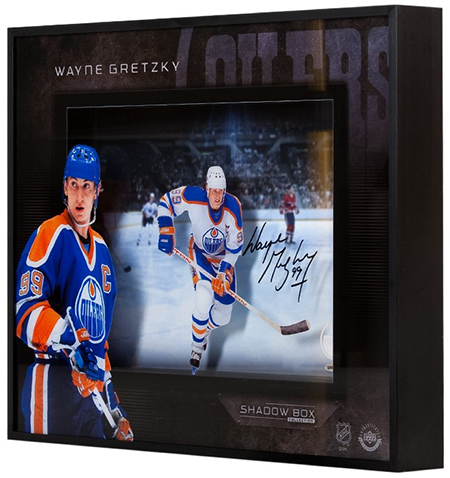 What may be most unique about the pieces is that the signature is actually found on the middle layer of clear acetate to give a 3-dimensional look where the autograph appears to be floating along the image of the athlete. This is also a safety precaution which will keep anyone cleaning the piece from damaging the signature housed safely inside. 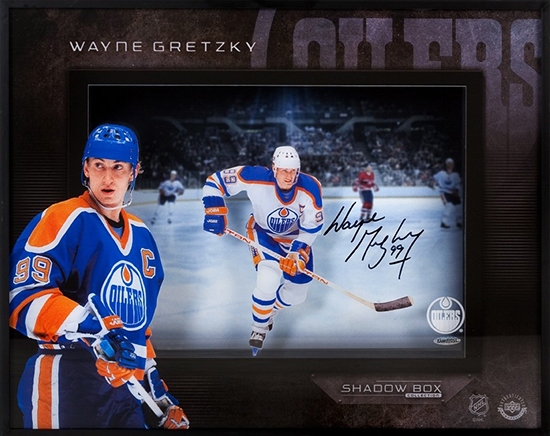 Recently we had signings with exclusive spokesmen Tiger Woods and Wayne Gretzky and we are excited to make their autographed Shadow Box collectibles available now! Take a look! 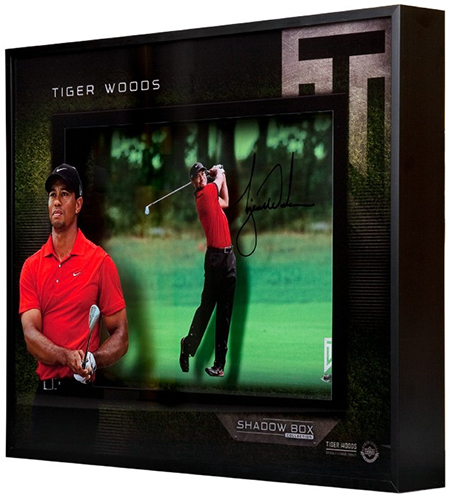 You can find these autographed Shadow Box collectibles and many other unique Upper Deck Authenticated memorabilia items at www.upperdeckstore.com! Check them out today! Wow! Those are GREAT looking! I KNOW they are going to be expensive but can you give us an idea as to how much!? And where are we going to be able to get these? Thanks! Great Job Upper Deck! Love’em! Upper Deck is THE innovator for Sports Cards hands down. Give them back the NBA please! Those a very nice looking. Cant wait to see what a Lebron one looks like. Wish you could do Lebron & Wade together some day.